Imagine Google and Facebook employing 20,000 people in Dublin. What sort of power would that bring? What effect would it have on the city, its economy, its infrastructure, its culture? If you don't think this could happen, think again. Figures last week showed that the two companies now employ 11,000 people between them, with another 5,000 expected in the coming three to four years. Given their track record, you can probably top that up by a couple of thousand. Does that make Dublin a web industry town? Does it mean that the Government feels impelled to water down its occasional acidic rhetoric about Facebook, such as the letter sent to Mark Zuckerberg by Communications Committee chairperson Hildegarde Naughton last week, slamming Facebook for "fake news" and demanding he appear to testify in front of the UK House of Commons (of all places)? Will it result in even stronger co-ordinated objections from ministers to EU proposals such as the digital tax that was seen off by Finance Minister Paschal Donohoe last week? And what will it mean for third-level curriculums, work culture, the 'gig economy' and the prospects for those who don't work in high-paying digital companies? These are questions we should probably start asking now. Because one way or another, Dublin looks like it's in transition. Rents are rising, suits are disappearing. Electric scooters just went on sale in the shops of Ireland's second-largest mobile phone operator. And it's a one-way street. Corporate power in cities which sit a tier below the Londons, New Yorks and Berlins of this world is stronger than ever. In Lisbon, where I spent a chunk of last week, the Web Summit wrapped up a sell-out four-day event. Its currency has risen to that of a strategically important tech company in recent years, a fact reflected in cold market value - Portuguese authorities recently agreed a €110m deal to keep the event there. They didn't do this for no reason. I was one of the 70,000 people there and here's the truth: it's both impressive and influential. 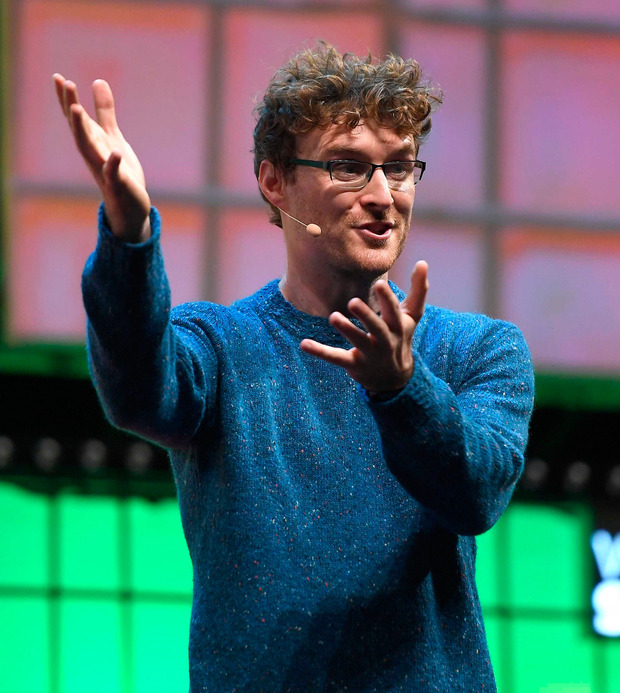 Forget all of the hot air you read about Paddy Cosgrave's political outbursts, which have little to do with the actual Web Summit now. There's genuinely no other large tech conference in the world where you can meet the variety of executives and founders as that one. It has scaled very, very well and is now a must-attend event for several big companies. Even Apple was there this year (and they go to almost nothing outside their own big events). But whatever influence the Web Summit has on Lisbon pales in significance when compared with what Amazon is currently doing. For those who haven't been following it, the retailing and cloud giant is currently holding a beauty contest among US cities as to where its second headquarters ('HQ2') will be based. Its primary offices are in downtown Seattle. But last year it announced that it would create a second US headquarters with the promise of 50,000 jobs and an average employee salary of $100,000 (€88,250). Predictably, cities have prostrated themselves trying to win the corporate contest. Chicago promised billions in tax breaks. Philadelphia pledged to restructure its entire business tax regime, while Tulsa, in Oklahoma, said it would match any other tax proposals and exceed them. In all, Amazon received official tender bids from 238 cities. It even drew up an official 'shortlist' of 20 cities in January of this year, promising a conclusion by December. The whole thing caught the public's attention as Jeff Bezos soared to over €100bn in net worth, making him the world's richest person. So was it a mistake for all of those cities to bend over backwards so publicly? To city mayors, the temporary fawning probably seemed worth the embarrassment. Fifty thousand high-paying jobs is the closest that any city can get to striking oil. Through associated income, retail and property taxes, it promises more money for services and infrastructure. Local colleges expand and an inflow of highly skilled people occurs. It's the direct opposite of a brain drain. Dublin is not immune to this. So let's keep our eyes open on what's coming next. Last week, Facebook signalled that it foresees building its headcount in Dublin to 7,000 in 2021. It said that its new 14-acre 'campus' - the old AIB headquarters opposite the RDS in Ballsbridge - is being taken on a long lease "with capacity for an additional 5,000 employees". The tech giant was careful to say that this isn't quite the same as a jobs announcement. But its history here shows that when it takes extra space, as it did last year in a separate building in Dublin's East Wall, it fills it. So here's a new projection for 2022: there will be 20,000 people between Google (currently with 7,000 people here) and Facebook. There's certainly no sign of either company letting up. Google and Facebook are primary drivers in Dublin's work ecosystem. Everything from property prices and rents to staff availability and office culture now has a flavour of the big two mixed up somewhere. By the looks of things, it's about to become more concentrated.